Take home unique, fun, and educational gifts and books from the fur post’s museum store. You will find something for everyone. The store contains a great selection of items made from birch bark, trade silver jewelry, and reproductions of fur-trade-era glass, redware, and tinware. Children's items include toys, voyageur apparel, and a wide variety of nature gifts. Our book section offers an extensive selection of books about the fur trade, the Ojibwe, and natural history. The museum store is open year-round. The store is open during regular museum hours. 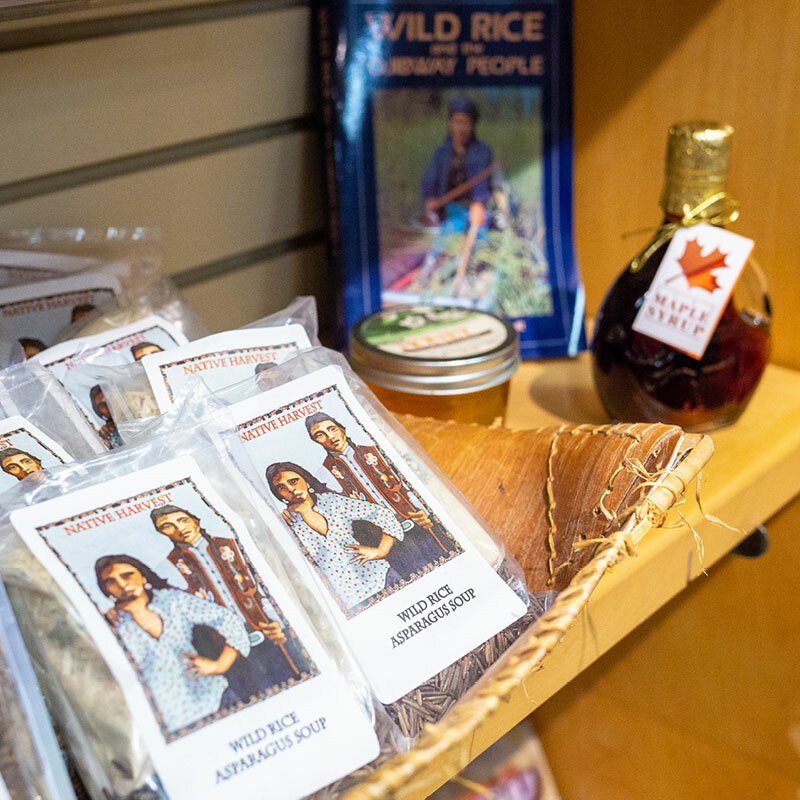 If you can't make it to the Snake River Fur Post museum store, you can find some of our souvenir items in the Minnesota Historical Society online shop.